It came from a women’s retreat, where I was privileged to address a group of lovely women last Saturday. We gathered to discover what “Once Upon A Time” (one of my favorite phrases in the world) means for women trying to live as Christians in an often confusing world. I don’t love large crowds of strangers, and assumed I would feel awkward at this retreat. 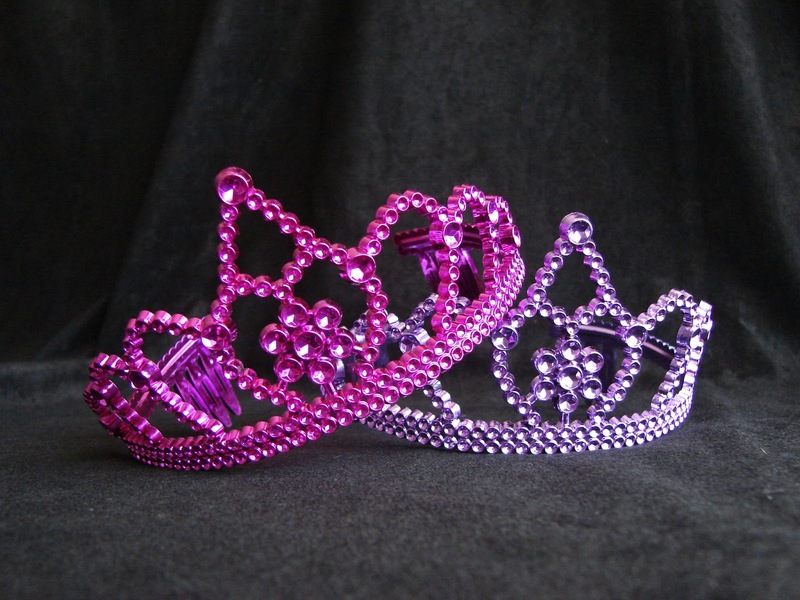 Although these glittery tiaras were temptingly arrayed on the tables when we walked in, I self-consciously left them there until I saw the other women putting them on with gusto. 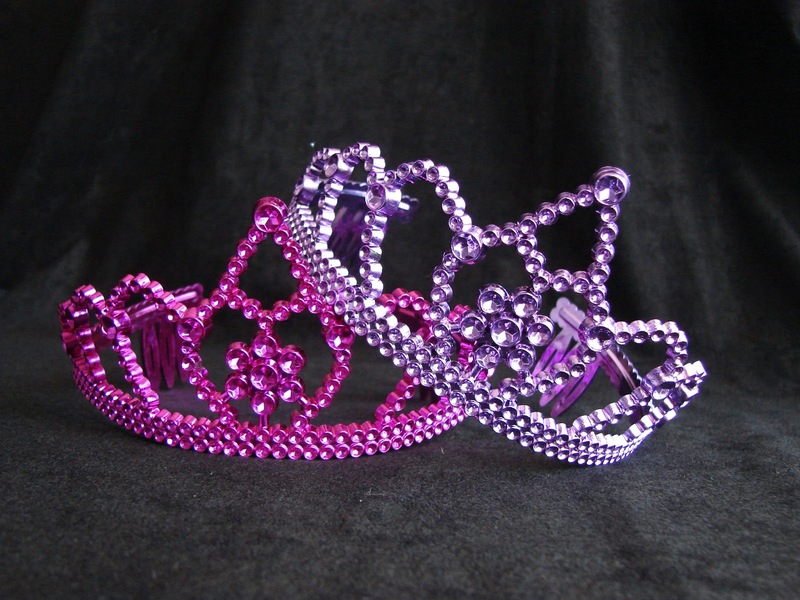 Green, blue, pink, purple crowns sparkled in gray hair, red hair, black hair, sparse hair. Women who had fussed with their straightening irons or their ponytail holders before coming, now laughed and let the plastic combs do their worst. It was time for me to learn to go with it. I was glad I did. 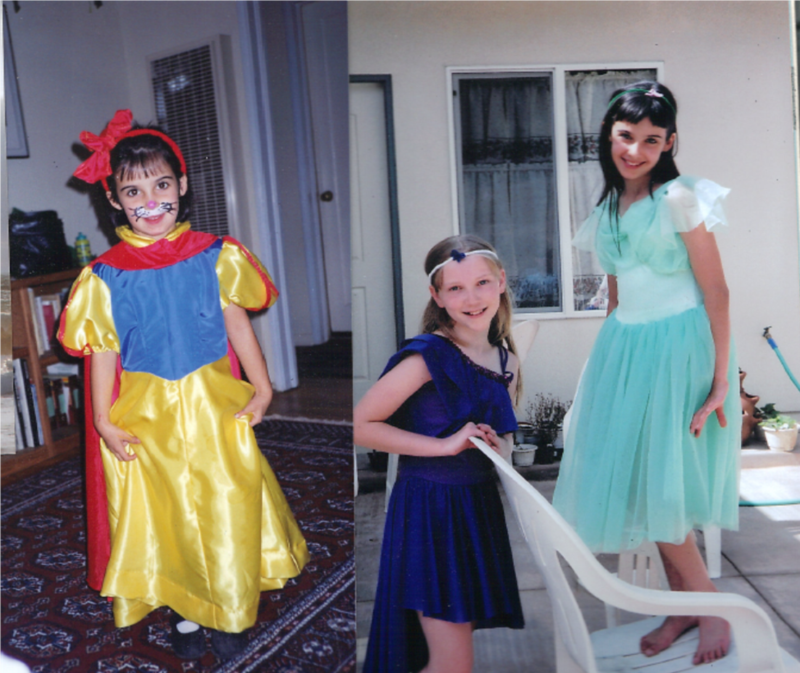 Because for a few hours, we all got to be little girls playing princess. Some of the things said at the retreat were quite serious. We talked about destructive messages about outward beauty and the constant temptation to be self-centered. The longing to be beautiful consumes many women, who turn to eating disorders, plastic surgery, or a constant negative self-image as a result. Some women appear very beautiful outwardly, even while they climb over others to put themselves first. It broke my heart to see the nodding and tears in the audience as we discussed these personal and painful issues. Beauty is often portrayed as something to be bought; a hopeless ideal that no woman without an airbrush can ever really achieve. The recent Dove beauty commercial takes strides toward achieving a more realistic standard, but its focus is still on the outside. Real beauty, that doesn’t depend on age, ethnicity, acne, freckles, height, weight, or whatever, comes from the inside. It’s the beauty of quiet strength, of a servant heart. It’s the difference between cheap, glitzy rhinestones and hard-as-nails diamonds. But at this retreat, we did not neglect to be silly as well. With games like purse scavenger hunts (even I was surprised at what came out of my purse) and toilet-paper dressmaking, this group of strangers was soon laughing like a gathering of sisters. One of the sweetest sights I’ve ever seen was a woman in her seventies, dolled up in tissue paper and masking tape. Instead of turning up her nose at the situation or soldiering through it disapprovingly, she pulled out a pair of sunglasses and slipped them on with sass to complete the look. Because winning a dress-up contest is a serious achievement, to be embraced with glamor and pizzazz. I guess last Saturday was one of those events where I went expecting to give, but unexpectedly received. I learned from the teaching and the singing. But more significantly, I was dazzled by the beauty of the women God has made. As they carried crock-pots and stacked chairs, cracked jokes and sang snatches of Disney songs, sorted the junk that came out of each other’s purses and twirled girlishly around in plastic tiaras, their spirit–their faith–our new-forged friendship–took my breath away. What have you learned about beauty lately? About friendship? What a wonderful retreat theme. The Dove commercial has definitely stirred up some much-needed conversations. It sounds like you all had some profound ones at your retreat. I’m working on changing my concepts of beauty and the seemingly constant scripts in my head of how I’m not the standard of beauty in our culture. Those messages can be so insidious and become part of our everyday thought process that it’s easy to overlook how damaging they can be.